KARI is currently operating GEO-KOMPSAT-1, which is Korea's first geostationary communications, ocean, and meteorological satellite. KARI is also in the process of developing the follow-up geostationary orbit multifunctional satellites GEO-KOMPSAT-2A and GEO-KOMPSAT-2B. Geostationary satellites are designed to circle the earth at 11,000km/hour, which is the same speed as the rotational velocity of the earth at 36,000km above the equator. As it can view a specific broad region of the earth at all times, it is generally used for weather monitoring as well as communications and broadcasting. GEO-KOMPSAT-1, Korea's first geostationary satellite, is a multifunctional satellite capable of carrying out communications, ocean and meteorological functions. It is circling the earth at the earth’s rotation velocity 36,000km above the equator providing satellite communication services and monitoring the weather and marine environment around the Korean Peninsula 24 hours a day. With the launch of GEO-KOMPSAT-1, Korea became the seventh country after the USA, Europe, Japan, China, India, and Russia to develop its own weather satellite. As such, it can now independently provide a more accurate weather service without having to rely on weather data from other countries. 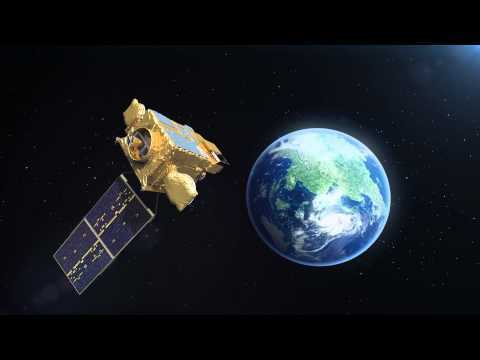 GEO-KOMPSAT-1 is also the world's first ocean monitoring geostationary satellite monitoring the marine environment around the Korean Peninsula in real time. As the tenth country in the world to develop a communications satellite, Korea laid the foundation for a next-generation satellite data communication system that can provide satellite communications, broadcasting, geographic information services and traffic information. The geostationary multifunctional satellite, GEO-KOMPSAT-2 will continue the mission of GEO-KOMPSAT-1 to monitor the weather and ocean color and will also strengthen the national capability to monitor the atmospheric environment around the Korean Peninsula through the development of two satellites: a weather and space weather monitoring satellite(GK-2A) and an ocean and environment monitoring satellite(GK-2B). The weather monitoring capability of GEO-KOMPSAT-2A will be more than four times greater than that of GEO-KOMPSAT-1, while the observation interval and number of channels will both be improved by more than threefold. The satellite is expected to greatly improve the accuracy of precision weather monitoring and weather forecasting, as well as the capability to monitor and forecasting extreme weather in the Korean Peninsula and the Asian region. The resolution of the ocean monitoring payload of GEO-KOMPSAT-2B is also better of four times than that of the Cheollian-1 satellite. The environment monitoring payload will monitor the movement of and measure border-crossing atmospheric pollutants such as NO2, SO2, HCHO, and fine particulate matter and yellow sand with 0.6 nm spectral resolution 8 times a day. The planned launch dates for the two geostationary multifunctional satellites, GEO-KOMPSAT-2A and GEO-KOMPSAT-2B are 2018, 2019, respectively.